I only photograph a limited number of weddings each year so hopefully when you make your enquiry I will be available for your special day, if I am then I am happy to catch up with a WhatsApp or a Facetime call at a convenient time to discuss all the details. If you then feel that I would be a perfect match to record your wedding day I would then send you a copy of my wedding contract to read and sign and then return, I will countersign and return a copy to you. All that is left is to pay a 50% deposit which secures your date, the second 50% is payable two weeks before the day. 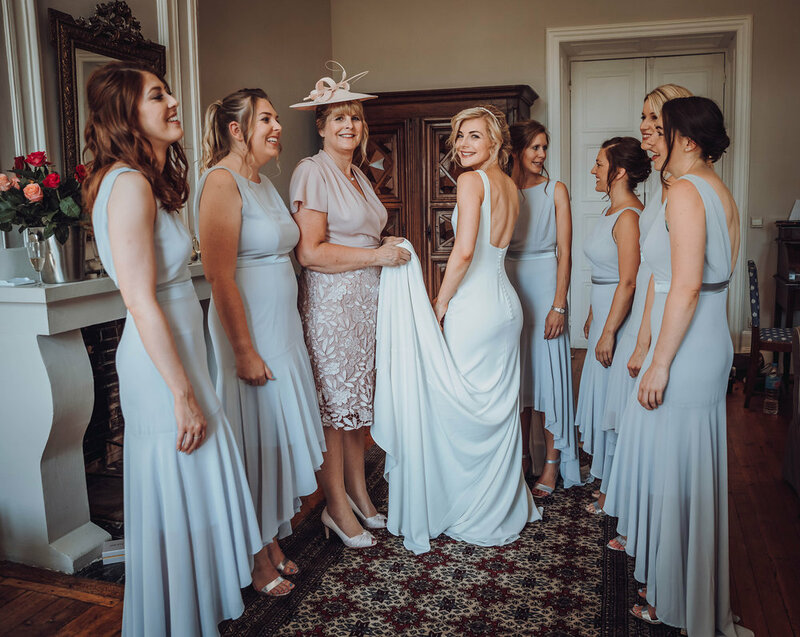 I am normally in touch with my clients several times leading up to the wedding day, I am always happy to offer any advice that I can and answer any more questions that you might have. On your wedding day I would normally arrive at the venue one and a half hours before the start of the ceremony, this gives me plenty of time to capture the preparations of both the groom and the bride, as well as the venue and all the little details. After the ceremony I like to give the couple plenty of time to enjoy their time with family and friends before heading off to take photographs, I also prefer to break the photography sessions into smaller moments throughout the day to limit the amount of time the couple are away from their guests. All my photography is very relaxed and informal to get a really natural feel. however most people want to organise family/friend groups to photograph, these can also be achieved in an informal and fun way. All the editing and retouching of you wedding day photographs are carried out by myself to retain my own look and feel, these images are normally ready to view 3-4 weeks after the wedding. All the photographs are uploaded to your own private online gallery, they are also supplied on a USB drive in my own presentation box which is posted to you, there is also a 30 picture slide show with music which a a “snapshot” of your day.